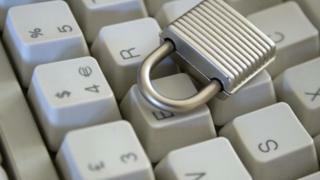 Small businesses have been urged to become "cyber streetwise," in order to avoid the risk of internet attack. An estimated 11 million internet-enabled devices were received as gifts throughout the UK over Christmas. Business security experts said this could put firms at risk if employees failed to take precautions. The UK government has launched a campaign called "Cyber Streetwise" to change the way people view online safety. It aims to provide the public and businesses with the skills and knowledge they need to take control of their cyber security. It comes at a time when an increasing number of people use the web on laptops, tablets and smartphones. Findings from the government's most recent National Cyber Security Consumer Tracker suggested many people did not take simple actions to protect themselves online. Gary Fairley, cyber and digital lead at the Scottish Business Resilience Centre (SBRC), said this could have a significant impact on the companies they worked for. "There has been a shift in cyber criminals' attention towards SMEs (small and medium enterprises) in the last year or so and it's important that businesses take the threat seriously," he said. "Getting the basics right is the most important step and will protect businesses against the majority of known threats." Mr Fairley said one financial enterprise company in Edinburgh carried out an exercise with an "ethical hacker" in 2013 to discover the level of online risk it faced. The hacker, using a spoof profile, was able to obtain a considerable amount of highly sensitive information about the company simply by targeting the social media accounts of employees - including some senior staff. Mr Fairley urged companies: "Make sure security patches are up-to-date on your systems, ensure passwords are strong, unique and changed regularly and that staff know what their responsibilities are in protecting your business' information. "It's not just an IT problem. Cyber risk is something that affects business from the boardroom down." The Cyber Streetwise campaign, with initial funding from the government's National Cyber Security Programme, has been joined by a number of private sector partners who are providing support and investment. UK Security Minister James Brokenshire said the aim was to offer help and advice to assist in the fight against online criminals. "The internet has radically changed the way we work and socialise. It has created a wealth of opportunities, but with these opportunities there are also threats," he said. "However, by taking a few simple steps while online the public can keep cyber criminals out and their information safe."